Emmy award-winning journalist Don Kinney has delivered in-depth television reporting to the people of Colorado for nearly 30 years. January 1998 marked his 20th year with “The State of Colorado”; a weekly televised discussion of news events which airs on Rocky Mountain PBS, Channel 6 in Denver and Channel 18 in Grand Junction. Don’s career began at a small radio station in Montana, taking him to Idaho and on to CBS News in New York. As a radio reporter, a CBS Evening News researcher & writer for Walter Cronkite, and a reporter/producer covering the Gemini and Apollo space programs, Don filled a variety of roles at the network level. 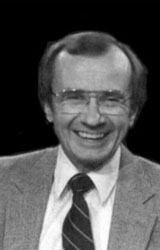 In 1969 Don entered the Denver market as producer of TV News at KLZ-TV (now KMGH). In the next decade he also served as Medical Science Reporter for KLZ-TV and Radio, as well as KOA-TV (now KCNC), before coming to KRMA-TV, Rocky Mountain PBS. Kinney also owns his own production company, Rocky Mountain Reflections. Don’s programs have received awards from the National Academy of Television Arts & Sciences, Heartland Chapter; the New York Film Festival; the Corporation for Public Broadcasting; the Colorado Broadcaster’s Association and numerous others. Over the years, Don has devoted himself to training journalists through mentoring and internship programs and helps to raise funds for journalism scholarships. For instance, as an avid marathon runner Don, in 1994, raised $29,000 for journalism scholarships by running across the state of Montana (a total of 666 miles in 15 1/2 days).